Why saying “Good Job” is a bad job? What I learned about “Good job” and other kinds of praise we flood our children with, is best summarized in this article. And this was one of the hardest things to change about my parenting style. I always praised my baby for every insignificant milestone she achieved. Not just praised, I clapped, I jumped, I kissed her. And I discovered that we both became slaves to this habit pretty quickly. She would do something and look straight at me waiting for my reaction. And I gave it to her, thinking I was helping. At some point it became an automatic response without giving it any thought, something that I felt was my job as a parent, something I thought my daughter needed in order to keep reaching her milestones. Now I try to take a moment to evaluate the situation, which sometimes is a great effort on my part (the habit is very hard to break). And then I ask her to describe what it is she did and how she feels about it. Sometimes that is all she needs, me paying attention and listening to her. She doesn’t look for my approval most of the time. I noticed that I also don’t fake my excitement this way. But when I am really excited and she feels proud of herself because SHE feels that way, we still hug and kiss. “The reason praise can work in the short run is that young children are hungry for our approval. But we have a responsibility not to exploit that dependence for our own convenience. A “Good job!” to reinforce something that makes our lives a little easier can be an example of taking advantage of children’s dependence. Kids may also come to feel manipulated by this, even if they can’t quite explain why. Apart from the issue of dependence, a child deserves to take delight in her accomplishments, to feel pride in what she’s learned how to do. 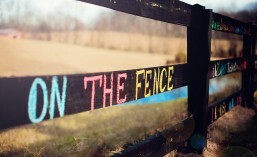 She also deserves to decide when to feel that way. Every time we say, “Good job!”, though, we’re telling a child how to feel. To be sure, there are times when our evaluations are appropriate and our guidance is necessary — especially with toddlers and preschoolers. But a constant stream of value judgments is neither necessary nor useful for children’s development. 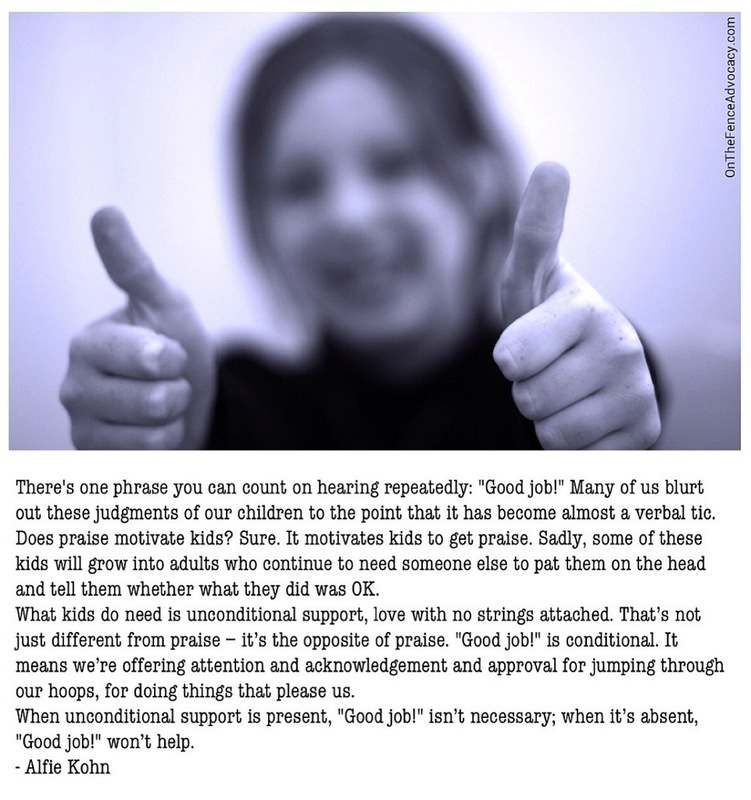 Unfortunately, we may not have realized that “Good job!” is just as much an evaluation as “Bad job!” The most notable feature of a positive judgment isn’t that it’s positive, but that it’s a judgment..And people, including kids, don’t like being judged. So what’s the alternative? That depends on the situation, but whatever we decide to say instead has to be offered in the context of genuine affection and love for who kids are rather than for what they’ve done.